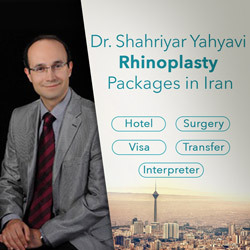 Dr. Shahriyar Yahyavi was born in 1970 in Tehran. He entered Iran’s University of Medical Sciences and graduated as an MD, ranking high among his classmates. He served the military service in the hospital of police force before continuing his studies in Otolaryngology. 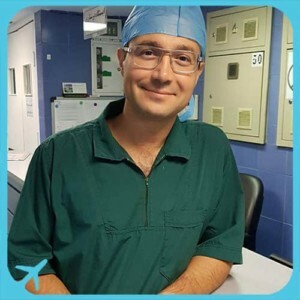 Dr Yahyavi completed his resident terms in Amir-Alam hospital and in 2002 he managed to get his degree as an otolaryngologist and ranked first by his graduation. Following that, Dr Yahyavi became an associate professor and teaching board member at Hazrate-e-Rasool Akram and Firouzgar educational hospital. Form 2002 till today Dr Yahyavi has been active in maxillofacial surgeries including facial and nose cosmetic surgeries, nose and sinus endoscopic surgeries, breathing disorders, head and neck tumors. He has also been a member of the research center of Hazrat-e-Akram hospital that resulted in several publications in various fields.